each is a complete exam study guide - All you need to study for & pass your exam is here! For a download purchase, an email is sent after payment with instructions & the download Page link. Check your inbox & spam/junk folder! Each study guide is a PDF document. The study guide portion of each document is noted on page 3 of each study guide. Each study guide loosely follows the content guide outline/syllabus and covers all areas noted. There are at least 400 practice questions per study guide included (NCLEX format with rationales) as well as reviews, summaries, charts/graphs/pictures and/or flashcards to help with your study! The Audio Reviews are a companion item to your study guide and includes a review of key concepts and principles related to the covered areas in MP3 format. 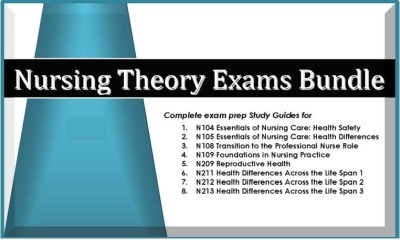 The Study Guides & Audio Reviews make great resources for the NTCX & the online classes too!